Melbourne's first commercial car park, Victoria Car Park, designed by architect Marcus Barlow was built in 1938. 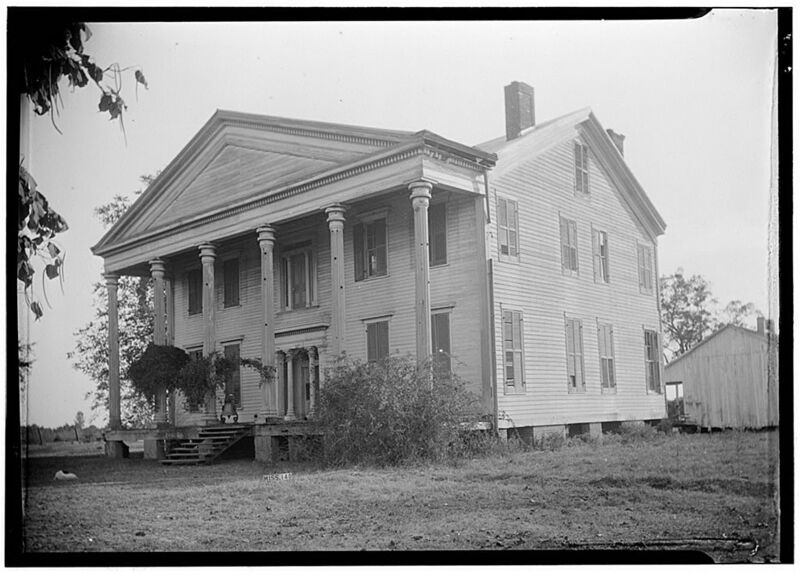 It has two street frontages. 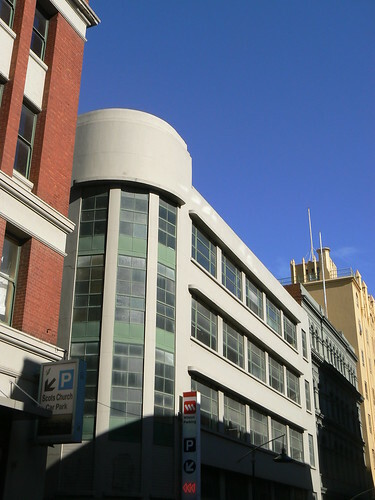 In Russell Street (above) and Little Collins Street (below) both in Art Deco style. The car park is in the same block as Scots Church and is now owned by Scots Church Properties Trust who have long sought to demolish the car park to allow commercial re-development of this prominent city corner. 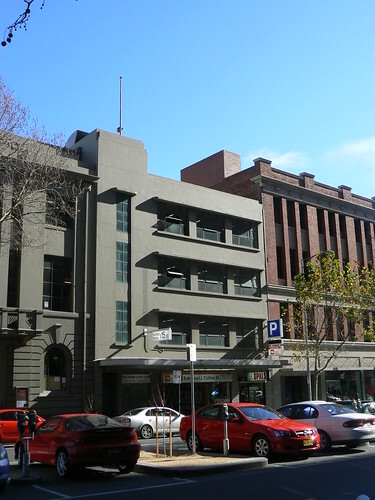 Despite being listed by Heritage Victoria in 2002 the Church was eventually successful in 2007 in obtaining permission from then Minister for Planning, Justin Madden, for the development of a tower block that would incorporate the Little Collins Street car park frontage but also the demolition of the Russell Street frontage. 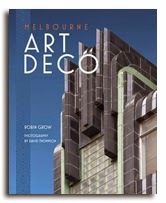 The Art Deco & Modernism Society unsuccessfully fought to save the whole building. The other day, the Herald-Sun reported that Westpac bank will move their Victorian headquarters to a glass tower that will be developed by Grocon on this site. It is four years since former Minister Madden made his ruling so we have enjoyed this Marcus Barlow design for that time but alas it won't be around for much longer. Certainly not as it is now. So if you happen to be in Melbourne in the next short while take a hike up to Russell Street and have a good look before it disappears. Great piece, David! So sorry to know that this sleek structure likely won't be around much longer. A real loss! Not happy to hear that it will be for another glass tower, too. It's good that the Little Collins Street section will be retained but a real shame that the Russell Street frontage will be gone. If I were in Melbourne, I would definitely take a stroll there and take a peek. To often we wander around our home cities and don't really take any notice of the built environment other than what shop, restaurant or office building we have to get to. Then one day there is a vacant block and then a glass tower and then we struggle to remember what was there in the first place. But, of course, I'm preaching to the converted. That's one of the key aspects of your Mindful Walker blog. All the best for Xmas & 2012!